Abomination | Marvel Superstars Trading Card Game. Abomination is preparing to bring a savage beatdown to the Marvel Superstars Trading Card Game. For players who favor raw aggression, there will be no sweeter Leader to build a deck around. When it comes to the other roles that his actor has played in cinema history, however, things get very interesting. Tim Roth is the man inside the myth when it comes to the film version of Abomination. Since we are collecting possible nicknames for future decks based on the additional characters played, let’s roll the dice with spice. Artists like me remember this one fondly. Abomination was originally the greatest painter of all time. Vincent Van Gogh deck? Yes please. Reservoir Dogs anyone? Mr. Orange is ready to finish things off in style. Not neccesarily my cup of tea, although I love talking the philosophy of Madonna songs. This ends our survey, and it will be hard to resist. Pulp Fiction FTW, Honey Bunny deck on the horizon. Thanks Tim Roth, your roles will make some hilarious deck names in our new game. First Two Marvel Premier Leaders Announced. The beatdown is on. When the Marvel Premier expansion set of Marvel Superstars hits the streets in February, two of its Leader characters will be smashing face big time. We already knew that Wolverine and Iron Man will be battling for control of the Starter Set. Now we are sure about an Avenger and a Villain. Before we reveal the shocking revelation for the bad guys, let’s check out the official Upper Deck explanation of the Leader mechanic. Your leader is the Superhero™ identity you assume during a game. Your leader belongs to a team, but that doesn’t restrict who you can challenge in a game. For example, an Avengers leader can challenge another Avengers leader or a leader from any other team. Each leader has 50 health. If your leader accumulates damage greater than or equal to its health, it’s eliminated and you’re out of the game. Your leader can attack and intercept enemy characters. Your leader starts with no force (the amount of damage it deals in a fight), but each city you build gives it +1 force on your turn. Every time you play an action, charge your leader. Charges can be represented by counters or dice. Each leader has a power that lets you remove a number of its charges for a result. The number is before the (arrow) and the result is after it. You can only use a power on your own turn, and only once per turn. 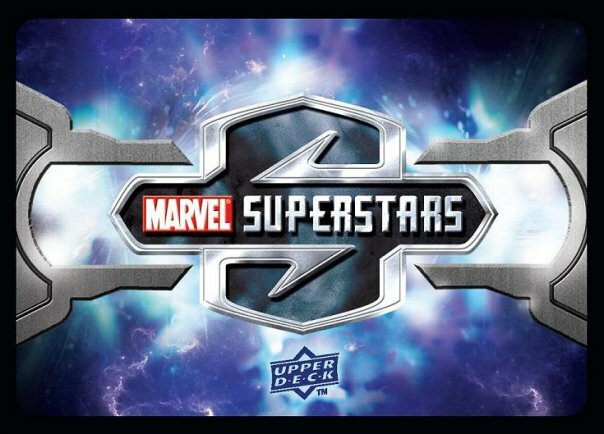 So you can see how important the Leaders are in the Marvel Superstars Trading Card Game. They will spell the difference between victory and defeat. What monstrous evil will be spearheading one strategy for the Villains team?